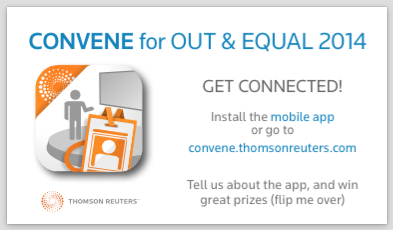 These include business card type marketing messages that attendees pick up at onsite registration with mention about Convene; what it is, what it does, how it can be used and how it benefits the attendee. A single page flyer included at registration and that attendees collect with their registration packet. Each poster board should contain different information about Convene actions. 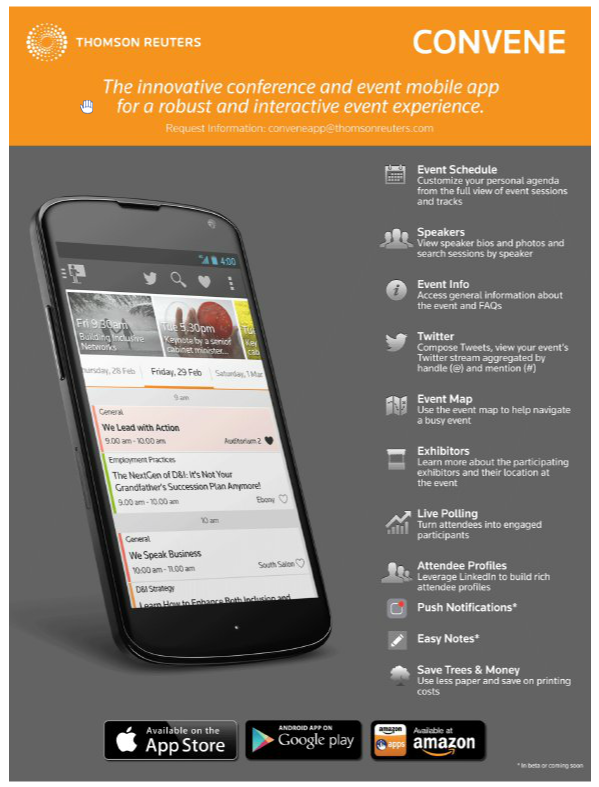 Tweet about the event from Convene! Search for your favorite speaker! Give attendees a contextual variety about all the possible use cases in Convene.